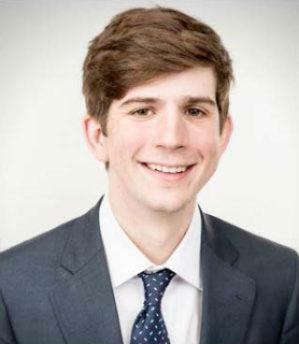 After working as a case manager with the firm throughout law school, Austin joined our Arkadelphia legal team in August 2015. He’s no stranger to the community: Austin grew up here, attended Ouachita Baptist University, and returned to Arkadelphia after completing a Juris Doctorate degree from the University of Arkansas School of Law. Ouachita holds a special place in Austin’s heart because of the people he met there (including his wife, Jillian!) and the lifelong relationships he developed. Friends and family are an essential part of life for Austin; he thrives on being around people. While Austin joined his father, Taylor, in practicing law, he credits his mother for teaching him one of life’s most important lessons: never stop learning. Whether through travel, reading, or listening to the experiences of others, he continually asks questions and seeks to learn more. On the weekends you’ll find Austin running local races across Arkansas, adventuring with his wife, Jillian, and keeping up with new music, movies, and television. Austin received a Bachelor of Arts degree from Ouachita Baptist University in 2012. He then attended the University of Arkansas School of Law in Fayetteville, Arkansas, where he served as Note and Comment Editor of the Arkansas Law Review. His legal writing was published in the Review in 2015. A member of the Arkansas Trial Lawyers Association, Austin is licensed to practice law in Arkansas. He also serves as Justice of the Peace for Clark County District 1.